Time for an Overhaul, Renewal is Needed. I have been feeling the desire to transform what I do for a living. I was retired 4 and a half years ago by a federal agency Unfit to work ever again and placed on a life time pension. I believed this for two and a half years and did nothing eventually starting to do voluntary work as this did not necessarily mean that I was doing anything that I would receive value for my work. Since I began writing my blog I have discovered that I also have great proof reading, marketing, editing and copy-writing skills I picked up in the seventies when I became joint Editor of a national Community Development journal by default. The editors left to drive around Australia and gifted the journal to the volunteers. It was pre-Internet, the early days of email so everything was basically a manual process. I did not use them for years except proof reading every sign and chalk board as I walked the streets of Melbourne. When I moved into a voluntary Social media role I discovered I still had the skills, they just had been dormant. 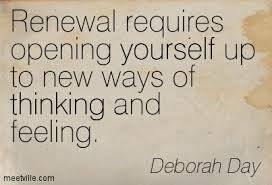 So what does it take to renew oneself? Here are my Fifteen favorite quotes and thoughts on the matter from over the pages of history. 1. I know that I will not be able to earn a living from these skills doing what I do or thinking that I’m to old and my skills are out of date, so I will have to open myself up to a new way of being about these matters. Being frozen with your thoughts and ideas points to the fact that you have settled into the cement of rigidity. 3. Henri Amiel born in 1821 had great insight into the matter, stating that as long as you had the capability, you could renew. 4. Shamans who visit the West are often saddened by the way people with mental issues are treated. 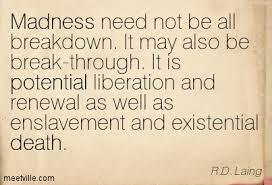 Breakdowns are seen in their communities as a stepping through to the next stage of a persons journey not a disease. Often to renew we have to go through the process of our situation being in breakdown. 5. Nature has been around a lot longer than we mortal humans, our time on earth is equivalent to a few minutes of natures history. It keeps regenerating again and again. 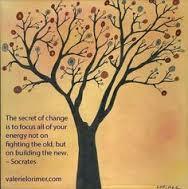 Do we see our lives as regenerating moment to moment, not as much as we should if we wish to transform our lives. 6. We drive to work the same way, eat the same meals watch the same TV programs , then we walk into a cafe and the person who serves us changes our life for ever. 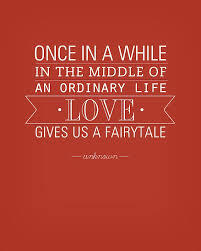 Her or his fairy wings flutter and say come and play. 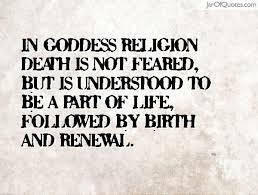 Renewal at it’s most beautiful. 7. Socrates, one of our great ancient philosophers points out the importance of no regrets, don’t spend our time focusing on righting the wrongs of our past but to look forward and spend our time renewing our identity. 8. 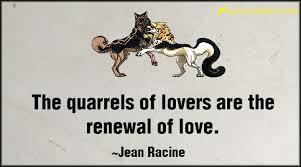 Jean Racine, one of France’s great playwrights from the 17th Century, doesn’t see quarrels as the impending end of a relationship , but the strengthening of people’s love through speaking up for what they required in the relationship. 9.Why is renewal important, because it allows freshness in our lives, the joy of stopping and smelling the roses on a daily basis. 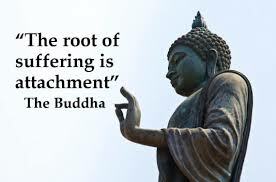 As the founder of Buddhism was heard to comment, the root of all suffering is attachment. 10. This one is just too cute to not put in. 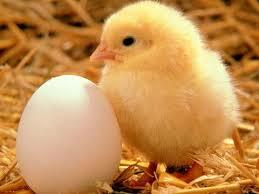 What came first the egg or the chicken. Who cares. 11. There are so many beliefs about death and what happens. the ease with which we go to it often affects how peaceful and pain-free our final years occur before we begin it all again, The ultimate renewal, or do we? 12. 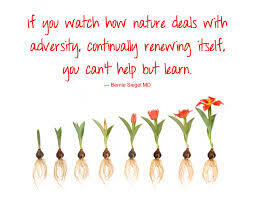 Wendell Berry, Author, Poet and Environmental Activist points out that some renewal is more important than others. We can renew our life and commitments but if we don’t renew our love of the planet it won’t matter much. 13. Our family and friends within our community are who we turn to when we have a down time in our lives. 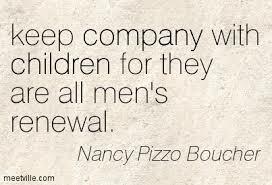 This makes it extremely important to look after these relationships om a daily basis, the non renewal of them could be very costly. 14. Angela Anaïs Juana Antolina Rosa Edelmira Nin y Culmell, better known as Anais Nin points out that the act of renewal in relationships is one of the sparks that brightens them moment to moment. 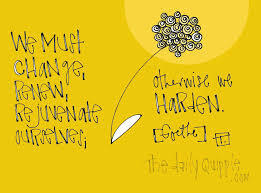 Renewal prevents stagnation in whatever you bring it to. 15. Finally, life’s greatest renewal, our beloved children. The reason we go to the well time and time again. Who remind us that their is a simpler life and in a lot of cases, that we just gave up. I still have to deal with those thoughts and feeling that will allow me to renew my position in Life. Luckily I am off to my Creative Mastery course tonight run by my friend Arion whose fabulous work enables you to work through this quite quickly. Here’s a link to find out more – Activation School home page. 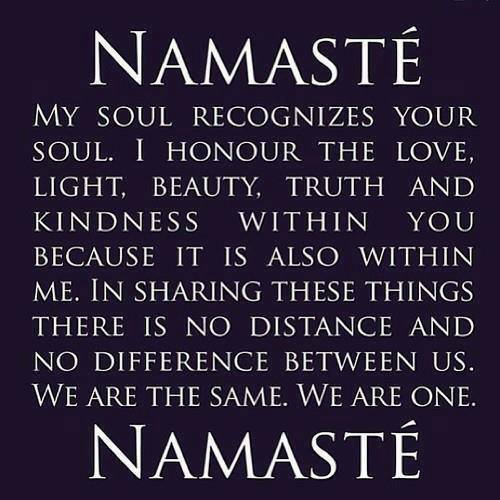 Well it’s time to say Namaste again, enjoy the read and share it on Facebook if you like it. This entry was posted in Achievement, Australia, Daily Love, Danielle LaPorte, Earth, Empowerment, Enrealment, Environment, Europe, free humanity, freedom, friendship, Gabrielle Roth, heart, Humanity, Insights, Inspiration, Interculturalism, Jeffrey Slayter, kindness, Life shifting, Lists, Love, Mastin Kipp, Melbourne, Menergy, mens empowerment, Oprah Winfrey, philosophy, Positivity, quotes, Renewal, Russia, self empowerment, south America, Sunday Assembly, Tai Chi, the daily Love, the pledge, The Tribe, Thea Westra, TheDailyLove, Transformation, United States, vows and tagged abundance, Achievment, Australia, Collective Potential, Connection, Creativity, Dance, Danielle La Porte, Dignity, Earth, eckhart tolle, Empath, Empathy, enrealment, Europe, free humanity, friendship, Heart, Hope, Insights, Inspiration, Interculturalism, Jeffrey Slayter, Kundalini, Life Shifting, Lists, Love, Mastin Kipp, Melbourne, Menergy, Mens Empowerment, Oprah Winfrey, philosophy, Positivity, Quotes, raw, Russia, Self Empowerment, Self Love, South America, Sunday Assembly, Tai Chi, The Daily Love, Thea Westra, Transformation, United States by rodwill1707. Bookmark the permalink. It is interesting to discover dormant skills and it’s great that you have been able to use them to assist other people. It sounds like the next step for you is to receive some financial reward for your efforts. Bartering skills and services is also good, no money needs to change hands but we still get to share our skills and receive recompense. Wishing you much fun and reward for this next part of the journey!